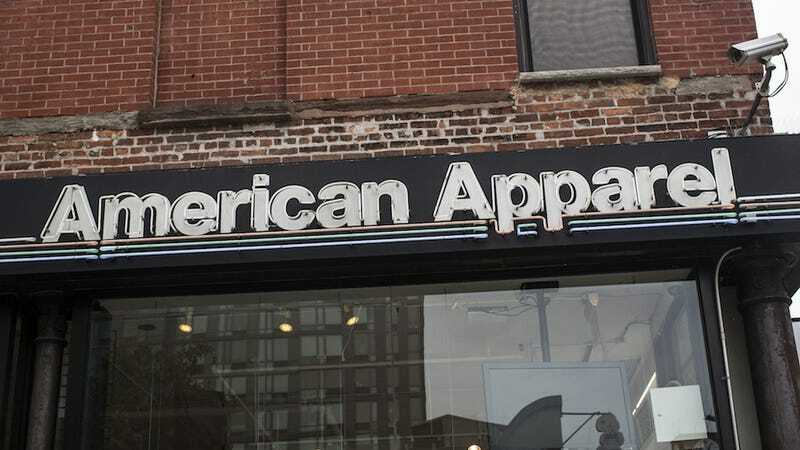 The United Kingdom will thank American Apparel to keep their filthy adverts off its genteel shores. The nation's Advertising Standards Authority has banned a couple of schoolgirl-themed ads by the company, claiming they've got the "potential to normalise predatory sexual behaviour." American Apparel has outdone itself. The images, which the advertising watchdog said were linked to the brand's "School Days" and "Back to School" ranges, were edited so "the focus was on her buttocks and groin rather than on the skirt being modelled". ASA said the ads imitated voyeuristic "up-skirt" photographs taken without the subject's consent. "We considered the ads had the effect of inappropriately sexualising school-age girls and were therefore offensive and irresponsible," said the ASA ruling (which you can read for yourself here). American Apparel insisted the images weren't technically part of a "Back to School" promotion and that the model was 30. Come on, guys, don't insult our intelligence on top of everything else.